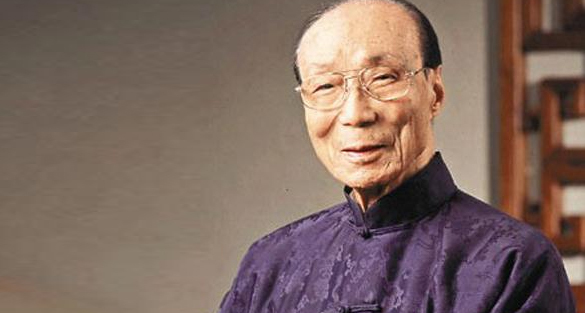 My obituary of Sir Run Run Shaw, producer of Blade Runner, former vice-president of the Hong Kong Girl Guides, and lover of fine Chinese shirts, is up now on the Manga UK blog. Owing to family connections, I have spent an awful lot of time watching people from Shaolin punch each other, and he is at least partly responsible. Her eyes were green. Her hair was silver, and she freckled. The rest was subject to change without notice. To a jaded cynic, the work of Anne McCaffrey (1926-2011) was little more than a science fictional repackaging of well-worn tropes from the world of fiction for adolescent girls. She had an entire stable of protagonists modelled on Cinderella or Lisa the Lonely Ballerina, and a whole paddock of tales about ponies and horses, which she rewrote as dragons. I was a ten-year-old boy in 1981; I didn’t know that. If I had, I might have turned away with a sneer and bought something about space marines. Instead, I discovered that Pern was a place where elegant, terrible, wonderful creatures sought out the purest of heart. Passions and yearnings could wake worlds, knowledge was passed on through songs… imperfectly, poetically… warning that something called Thread would fall from the sky. Old songs, forgotten songs, whispering of apocalypse, ignored, belittled, dismissed. Until the day the songs came true. The dragons on the fire-heights rose to their haunches, bugling their jubilation on this happy day while fire-lizards executed dizzy patterns in the Thread-free sky! What a sentence. As a teenage would-be author, I fixated on that last phrase. This day, the sky was free of Thread, the awful alien spores that brought ecological disaster. And already, the Dragonriders had found a way to neutralise Thread on contact with the ground. The Dragonriders had rendered themselves obsolete. Their whole world was about to fall apart, and nothing would be the same again. F’lar and Lessa, the reluctant first couple of Pern, walked out of the narrative with smiles on their faces, but they stood at a momentous moment in history, thick with melancholy and pregnant with loss. Opening my battered, much-read, much-loved copy of the The White Dragon this morning, I turned once more to the sentence I thought I knew so well. Just try reading it out aloud. It is breathless and giddy, arguably missing a comma and ending in a grandstanding exclamation point. You would need to be an opera singer to belt that sentence out and get it in all its passionate, gabbled glory. Anne McCaffrey, who once was an opera singer, and often wrote as if translating music into prose, ended her masterpiece on a crescendo and a descant. Sadly, perhaps, it wasn’t the end. I would read the first six Pern novels on an almost annual basis, but I had little time for the diminishing returns of the later bolt-ons. I liked Dragonsdawn, with its revelation that McCaffrey’s world was a sci-fi acronym: Parallel Earth Resources Negligible. I was intrigued by Moreta: Dragonlady of Pern, and not only for its glimpse of a legend only whispered in the main saga, but also for its engagement with something only obliquely referenced in earlier books – the fact that a number of the dragonriders were gay. But I had no time for the rest of it: the Celtic whimsy and the pointless dolphins, the previously unmentioned gipsies and the inevitable aging and changing of the characters I loved. As I protested to my fannish friends, all largely aghast at my passion for a girl’s book, it’s all there in the last sentence of The White Dragon. They’re dancing in the Thread-free sky. Game over. Do we really want to see them building factories and laying roads? Must we watch them bickering, growing old, dying? The tale is told. When All the Weyrs of Pern was published in 1991, I was living in Taiwan, and had no hope of finding a copy. In early 1992, I met an American girl in Japan who had the audio book. After resisting for weeks, I put the tape in my Walkman, and lay there in the dark, listening to the big finish. It was read by McCaffrey herself. She stumbled over the voices of minor characters. She blundered around in a forest of adverbs. I seethed, throughout, at the clear proof of my Thread-free Sky thesis. Like all fans, I wanted more, more, more, even though I knew that more was not necessarily for the best. And then she got to a moment when a major character, a unifying figure in the saga as a whole, a mentor to many and father-figure to a few, died. McCaffrey was having trouble reading her own book, her breathing came in weird places, and I realised that she was trying not to cry. When death finally came, she stopped reading and wept. I love Anne McCaffrey, for loving her own story so much that it moved her to tears. I will always be grateful to her because I went into the Boxall’s newsagent next to Prittlewell railway station, on my way home from school in 1981 and came out with a book about men riding on dragons, instead of the previously desired bar of chocolate. I love her because I adored Dragonflight so much that I dragged my stepmother into That Fancy London to buy the rest of the books at the hallowed Forbidden Planet – a store I had never been to before. I learned from Pern that it was okay to take what you wanted from an author and leave the rest. I learned the joys of hunting for the next book in a series and staying up late to find out what happens to imaginary people you’ve come to care for. I learned to describe a particular colour as Harper Blue. That it was okay to grow up and move on, and look fondly on books you treasured as a child. When The Skies of Pern came out, I decided I was not going to read it. I had my Pern, and I kept it. I read the first six books again, because they had a real something, and that something ended with the Thread-free sky. Ron Moore saw it. In Pern he saw a metaphor for a nation under siege, a hopeless, doomed conflict against an implacable enemy, a mid-holocaust tale of humanity on the brink of extinction. When his Pern TV series was announced sometime around the turn of the century, I was a twenty-something editor at Titan, a company bidding for the rights to do the tie-in magazine. David Bailey had already decided that he was going to be the editor. I immediately volunteered to be his deputy. We began addressing each other as D’vid and J’nathan, using McCaffrey’s honorific median apostrophes, much derided among serious SF fans, and to the great irritation of our colleagues. But the TV series never happened. In conflict with his bosses, Moore walked off it with the sets already built, proclaiming that he would do it right or not at all. Instead, he made Battlestar Galactica. James Cameron may have seen it, too. Even if he didn’t, I did. Now a professional author of ten years’ standing myself, I sat through Avatar with a giant, stupid grin on my face, not seeing the film that he had made, but the film that was to come. This is it, I thought as men on flying lizards fought in the air. We can finally do it. We can do Pern. You can keep your sparkly vampires and your boy wizards. One day, Pern is going to wipe the floor with them. But today there is an eerie, hair-raising, barely audible, high keening note, that signifies the passing of one of our kind.